Once again we will participate in the Irving Great Days of Service. 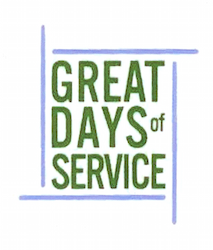 Great Days of Service is all about bringing people together from different faith communities, businesses, organizations and individuals who are committed to serving God and the community. They come together for two weekends and help people fix up their houses and yards. The Disaster Response Team will help for one weekend as the designated chainsaw team. We need certified chainsaw operators, as well as, people to help with clearing debris. This will be our third year to participate and we are excited to once again be a part of this community effort. If you would like to participate please contact April Kyle.